ADAM KATYI — Interview — ligature — Switzerland-based online publication for design, culture and visual creation. The graphic and type designer Adam Katyi answered our questions. After his graphic design studies in Sopron and Budapest (Moholy-Nagy Art and Design University), he specialized in type design with the Type and Media master course, in The Hague, the Netherlands. 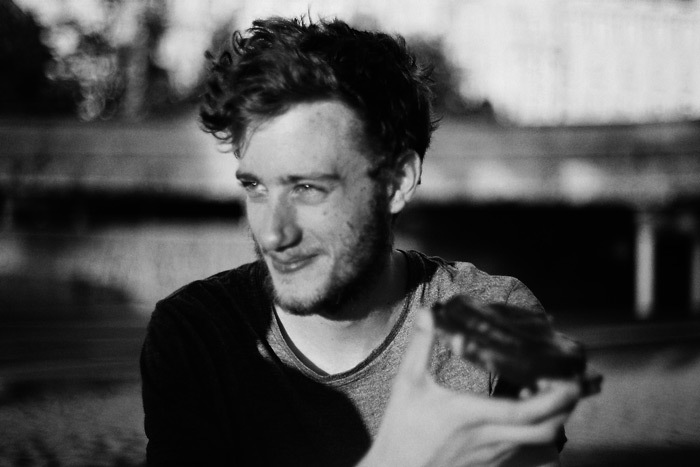 We interviewed him to know more about his graduation type design project “Westeinde” and his thoughts about what led him to do this profession. Hello Adam, how are you? Fine, thanks. I’m enjoying the life! I was born in Sopron, Hungary, and I started here my graphic design studies, as one of the first graphic designer student in the Institute of Applied Arts, I studied here a lot about the graphic design, especially about the typography and love of the letters. After 3 years bachelor studies I moved to Budapest and started the graphic design master in the Moholy-Nagy Art and Design University. I was more and more interested in typography and I designed a lot of type related posters, books and magazines. Typography was always really important element of my works. 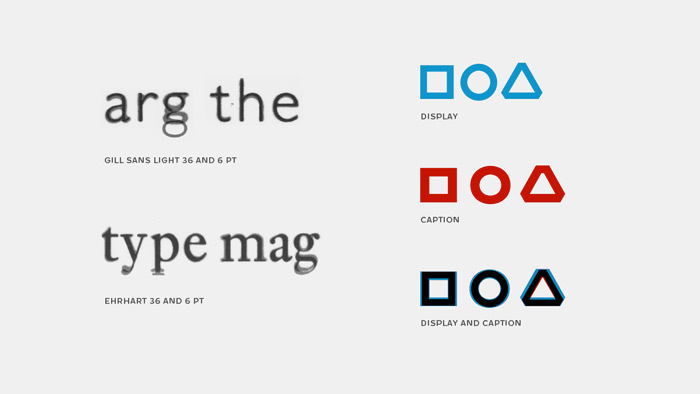 I had some typeface ideas and I was really curious about the new technical opportunities. After finishing my graphic design studies I decided to specialize in typography and type design, that’s why I applied to the Type and Media master course, in The Hague, the Netherlands, I was so happy, because I got in! 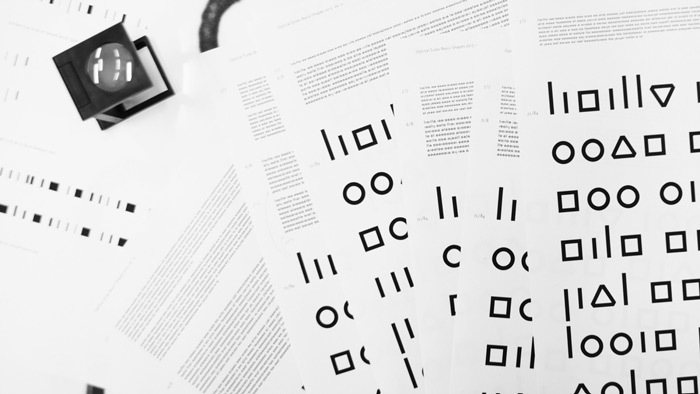 In last September (2012) finally I started my type designer studies in the Royal City. The Hague is really an impressive and inspiring city for type designers. Can you tell us more about your background and approach of type design? It started in Sopron, where we could study more about the typography, as on the other graphic designer courses in Hungary. I had great teachers, who motivated me learn more about typography. I went with this flow and I went deeper and deeper into type design. The first spark was a pixel typeface project 6 years ago. This assignment is a good start to understand the basic relationships between the letters. After this I designed some more difficult stuff but, when I really started type design, was my bachelor degree, with Tótfalusi Sans Serif. I studied a lot about typeface design and font editor software, but I wanted to become professional in this subject. Later I applied to Type and Media master course. What motivated you to follow the Type and Media MA’s program? Can you tell us about the year you spend there? 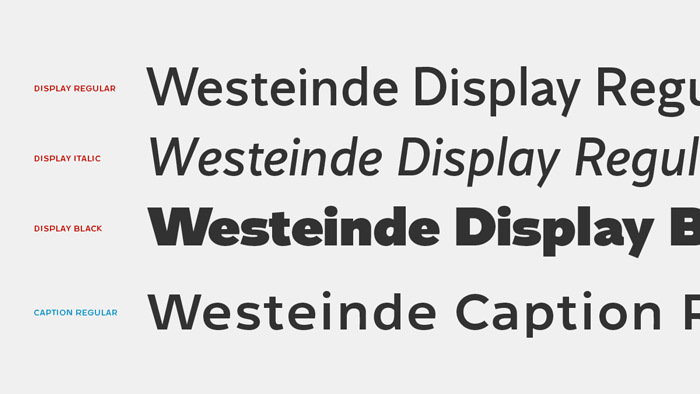 I think you can study the most about type design in the Netherlands. This country has so deep and colorful type-history, what you can’t find everywhere. Our year was super intense. In the first semester we had a lot of subjects and we worked with all kind of tools: brush, pointed pen, hammer and chisel, black markers, python programming and RoboFont. 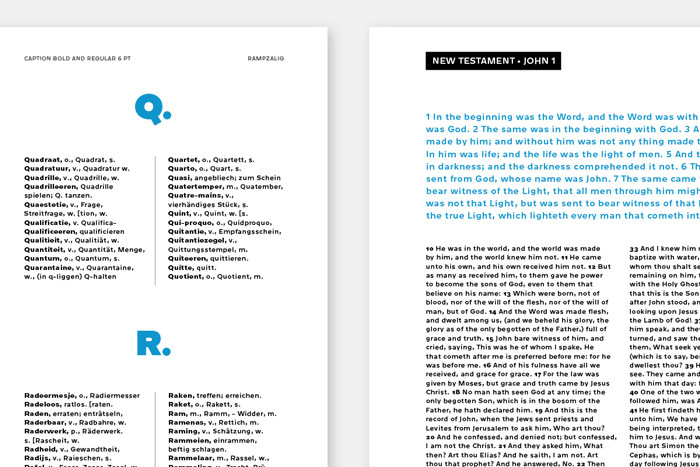 We had a lot of different exercises, like Revival project: where we had to choose a letterpressed book before 1940, and do a historical research about the typeface of the book and had to revive it digitally. Contrast exercise: from the brush to the digital typeface, drawing regular-, high- and low contrasted letters with broad nib contrast type. The most relaxed subject was the stone carving :) We learned python programming, the language and a lot of useful scripts. We studied pointed pen calligraphy as well. And a great assignment, the TypeCooker: you get a recipe and you have to cook a word after this. It’s a perfect thing to practice and develop your sketching and thinking. 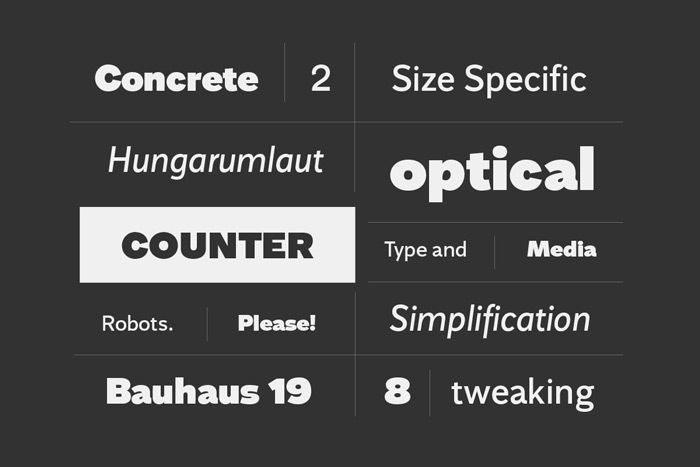 And you can get inspiration for your new typeface. 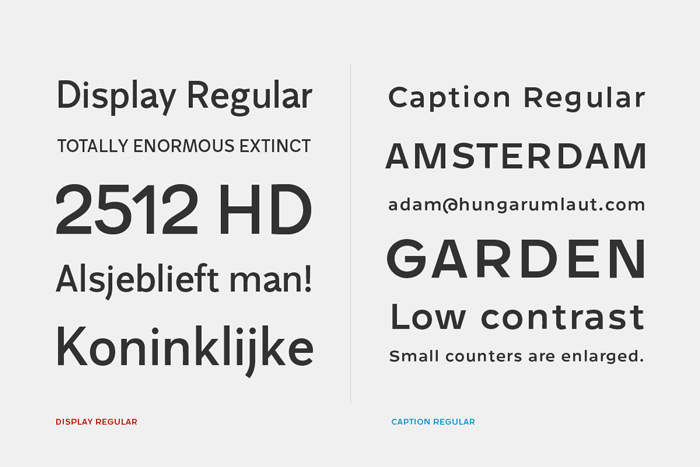 We also designed a Greek character set for an existing typeface. And we did a lot other smaller exercises, like family planning, studying new software, doing presentations, learning about the design process. So in the first semester we studied everything, what we needed for our graduation project: “a typeface with at least three different weights”. We worked on this project from end of February to end of June. 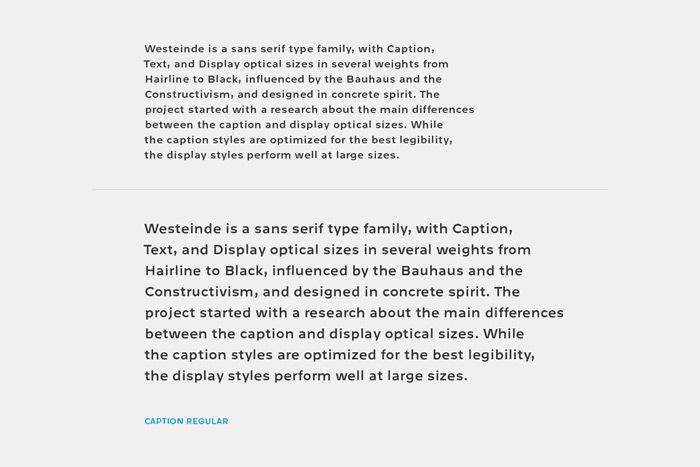 What was the idea behind your graduation type design project “Westeinde” and can you tell us about the process? 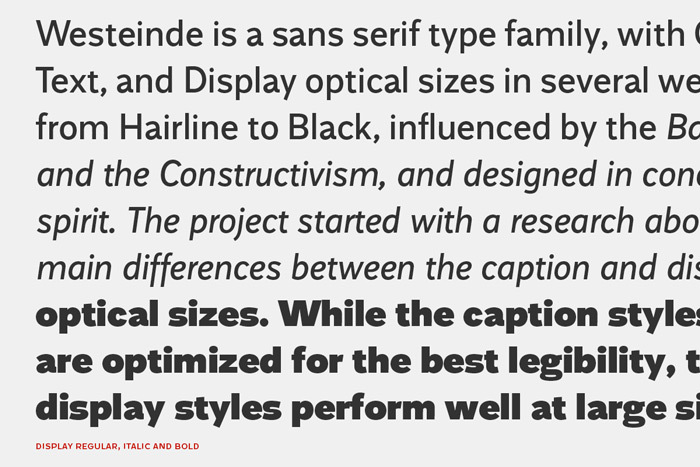 When the designers set type with lead-type, they had a different design for each size, size specific design. Legible at 6 pt, beautiful at 72 pt. 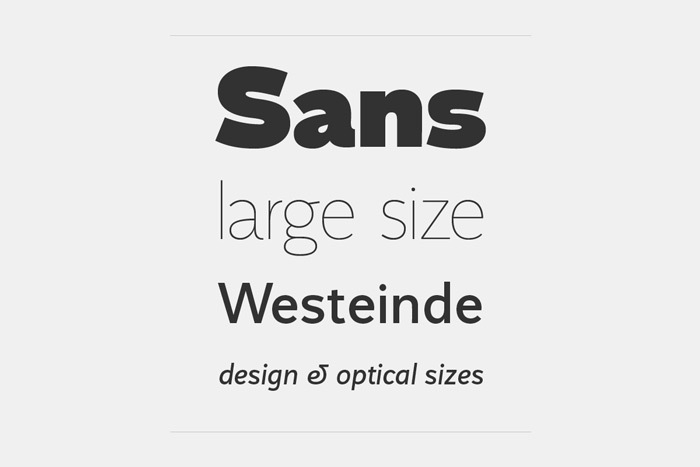 Fonts were designed specifically for the size, for which they were to be used. 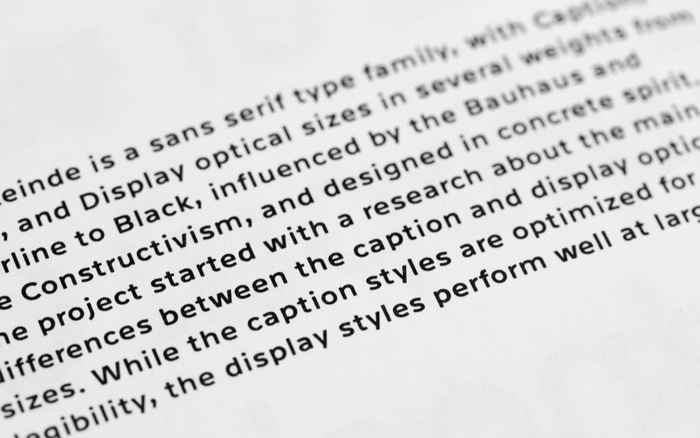 But when they started to adopt the typefaces from lead-type to photo-type setting, in most cases they adopted only one optical size, and used the typeface with the same design in both, 6 and 72 point size. 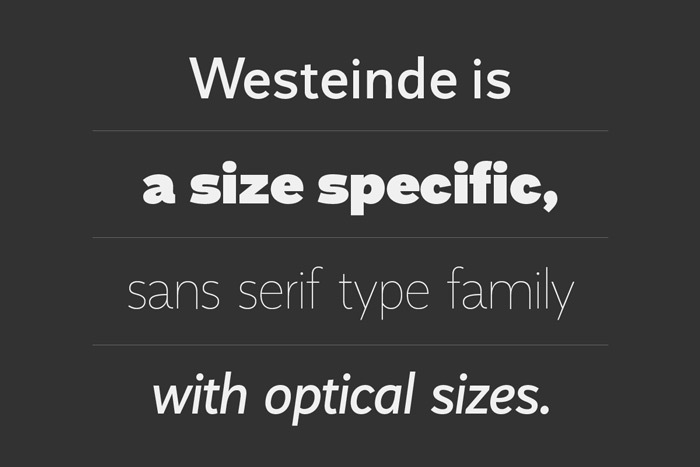 (Respect for the exceptions, like TypoArt in East Germany, they adopted all the optical sizes). So this thing was always in my mind, that in many cases we don’t use the right typeface. What do you think about the current flow of type design? I like that, we can use a lot of different tools, software, but we should never forget, everything is starting on the paper, with sketching and thinking. The computer is a tool, as well as a pencil. We won’t get ideas from this machine. Today with the Internet we can reach the whole world, and if we publish a design, we became from a local designer to worldwide. 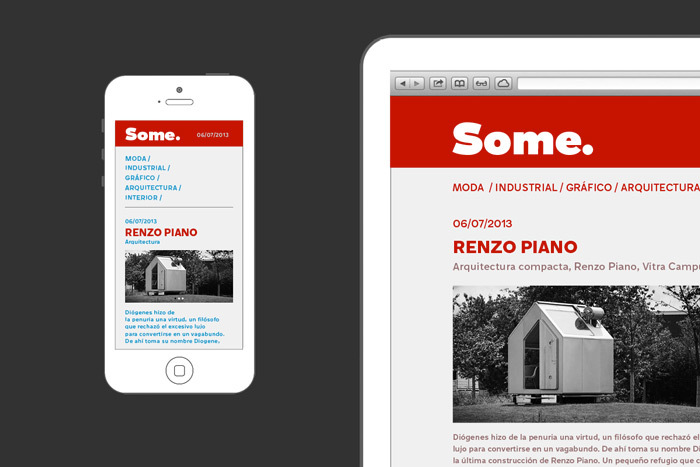 Easy to spread our work and easy to find inspiration. And instead of following the trends (it’s already too late) I suggest to go on your own way, draw your ideas and work them out as perfect as you can. I would appreciate all my teachers from the Type and Media and I would say big Thanks for them, especially: Christoph Noordzij, Erik van Blokland, Françoise Berserik, Jan Willem Stas, Just van Rossum, Paul van der Laan, Peter Biľak, Peter Verheul and Petr van Blokland. If you’re not kidding, nothing will ever be true, but if you become insane, it’ gonna end bad. Design and images are ©Adam Katyi.